Captured ISIS leader Yousef al-Salafi has confessed that the Islamic State is being funded by the U.S. government. America has been suspicious of the Obama Administration’s treason without concrete evidence – until now. You’re shocked? Really? What else is there to say? None of this is new, yet thousands and thousands of Americans will watch the video below in shock and disbelief. Then, they will continue to do what they do best… nothing. A few weeks ago, a post titled Obama Ushers In Armageddon to America, provided a list of the 45 Goals of the Soviet Union to bring about the complete destruction of the United States. The list was published in 1958 during the cold war. After looking at the post for all of 30 seconds, the reader can count the goals that are highlighted in BRIGHT RED, and should take notice that Obama and his band of clapping seals in today’s Democrat Party have already accomplished about 30 out of the 45 goals. There is no debate to be had, go look. There have been many people like myself and countless others, from all walks of life, who did our homework on Obama years ago, and have been screaming our findings from the rooftops since long before the 2008 election, but our cries continue to fall on deaf ears. Lawmakers Have Come Forward Stating, “The Obama’s Are a Made-Up Family,” formed solely for the purpose of getting Obama into the White House. No matter how many times it gets brought to light that “Fundamentally Transforming” America Literally Follows the Communist Manifesto to the Tee, Obama has continued his tyrannical reign with impunity. Politicians will be politicians, and that will never change. As such, they will say or do whatever is necessary to retain their coveted positions of power, which is why we see them pander to anyone, even groups like Black Lives Matter, Whose Protesters Are Actively Endorsing Killing Police. while Obama remains silent. Like any drug addict, politicians’ addiction to their power is understandable, however detestable it may be. What is NOT understandable, is the sickening level of ignorance the common every day American is content to live in. Not one of Obama’s clapping seals who are voting in favor of the deal with Iran can name anything that the United States GAINS from the deal. Nothing. A recent poll revealed 1/3 of Americans Support a Military Coup of the Obama Administration to Oust Obama, so clearly Americans KNOW that Obama is a bad actor, but everyone wants someone else to handle it. Americans have become so damn self-absorbed, petty, and uninformed, that they have no clue that the barrel of Obama’s big government gun has them square in its sights. By the time the full effect of the Obama Presidency is felt, Americans will be in so much pain they won’t know what hit them. How have we become a nation so content with ignorance. It’s sickening. How many more times does it need to be said before the sleeping giant awakens? Obama is NOT playing for the team that says America on the front. Do MILLIONS need to die before that simple fact is conceded, and people become willing to take action? 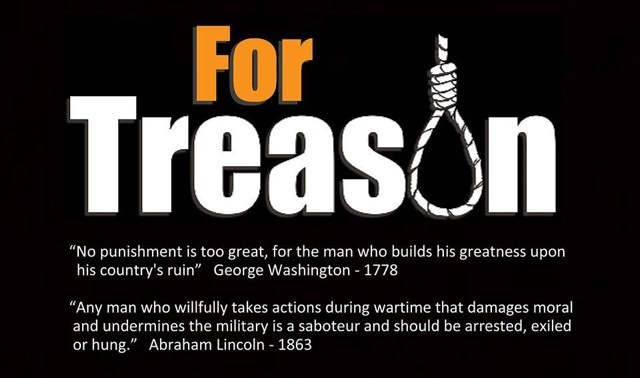 Right now, the TREATY that is being unconstitutionally RAMMED down our throats even as I type this, is such an act of TREASON, that recently a Former Federal Prosecutor Has Said That Legally Speaking, There is NO DEBATE: Obama and Those in Congress Supporting the Deal Are Guilty of Treason. Open and shut. The end. Period. Either we the people stop Obama, or Obama stops the American way of life forever. It’s quite possible we’ve passed the point of no return already. That’s not “rhetoric” either, so don’t go there. Anyone who has taken the time to be well informed, knows all too well that is not “rhetoric.” The links above highlight only a tiny fraction of what is going on. The Obama administration is engaged in SO many unconstitutional and illegal acts right now (even former Secret Serviceman Dan Bongino has said as much), that personally, I’ve given up trying to bring many of them to light simply because Americans can’t even get the basics down yet, much less the complicated things. As Americans, we are signing our own death warrants, and we are selling our children and grandchildren into slavery, and we are whistling Dixie as we do it. It’s disgusting. As the end of Obama’s “scheduled” term in office closes in, watch for the police state to continue to squeeze our throats tighter and tighter. it would be best for people to make an effort to learn some of the Tactics US Citizens Could Use to Take Down the Oversized Military Police State. The following video is from that post. People need to wake up. Please. Al-Salafi’s testimony to Pakistani officials is very damning for Obama and his hidden agenda to support ISIS and the destabilization of the Middle East and Europe. The U.S. banking system has been allowed to filter funds to ISIS under the watchful eye of the Obama Administration. An argument of ignorance on behalf of the Obama Administration is irrelevant. Our government has the resources to track and record every phone call and email in America every day. In the past, we have frozen billions of dollars belonging to terrorist countries at a moment’s notice. The real question here is not, “what will congress do about it.” We already know they will do nothing. Boehner and McConnell sold out long ago. 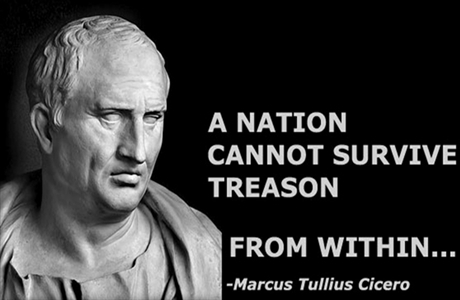 FOR MORE ON OBAMA’S TREASONOUS ACTS! Several Generals and Admirals Turning On Obama In a Major Way… Again! 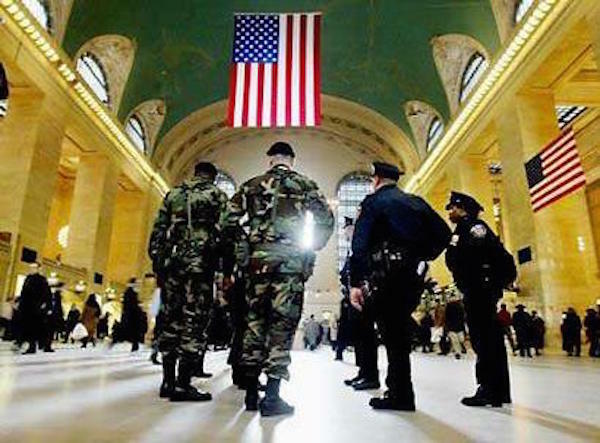 Political Dissidents Homes Being Marked By FEMA Prior to Martial Law? MORE ABOUT OBAMA’S MARTIAL LAW PLANS BY PRESIDENTIAL CANDIDATE!!!!! TLB recommends that you read other articles by VOICE OF REASON HERE. In reply to the comment by Gary. Do you have proof to back up your outrageous, and anti-Semitic claim? ISIS is a Zionist front Organization fighting a Proxy War for Israel in the guise of muslims. There is Nothing “Islamic” about them.